The b and b was reasonably priced and bedroom clean. However the shower, despite presence of curtain got water all over floor. Breakfast was disappointing. Irish breakfast too greasy and cutlery wasn't clean. Room for improvement here. We were very happy with friendly staff, reasonable price and the location. 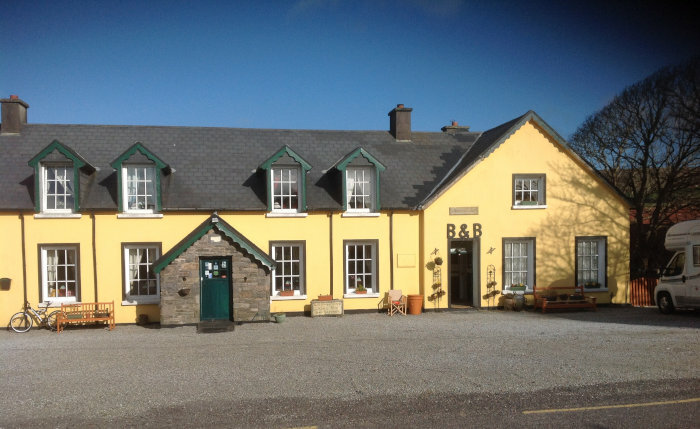 Our recent stay at The Old School House B&B was fantastic! Rooms were clean and comfortable, food was delicious, and the hosts, Lillian and Dominick, were amazing. Their suggestions for day trips and places to see and to eat gave us a glimpse of the real Ireland. We’d recommend this B&B to friends and fellow travelers, and we’d certainly stay here again. Good value, great staff. Quiet and clean Simple and Honest ! The host was great and we all had a great time there! Thank you for the hospitality! One of the best B&B experiences we have ever had. The house and the owners and so warm and welcoming, the house is full of history the rooms have the atmosphere of a warm, cozy home and the best pancakes ever!!! We will definitely go back!! Thanks so much Dominick and Lilian for your hospitality keep up the good work!